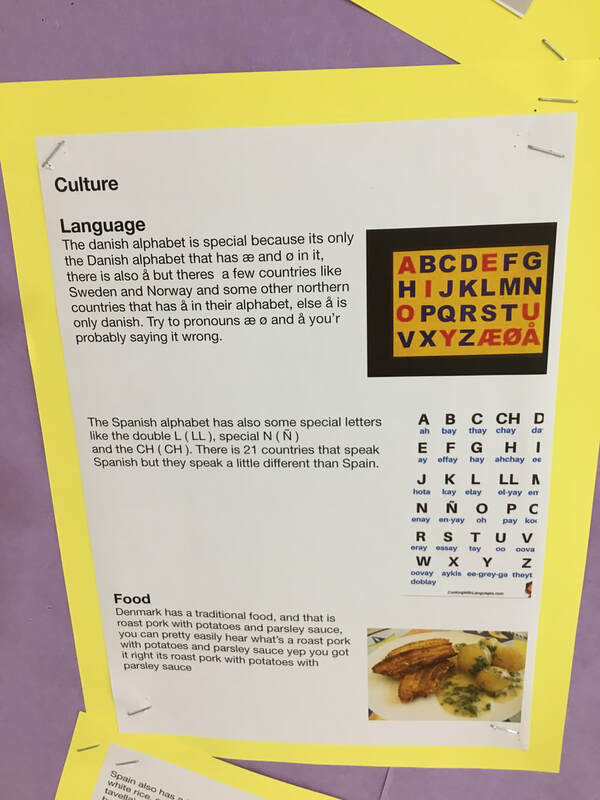 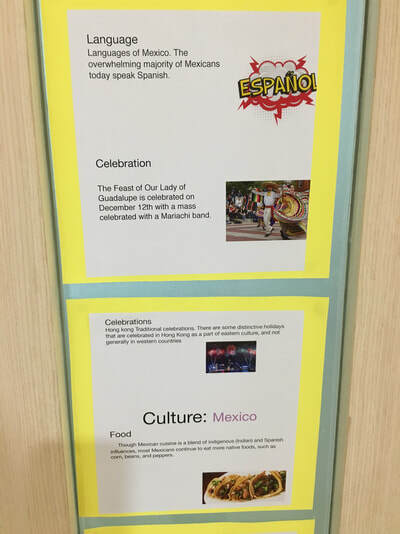 As I was planning my units at the beginning of this academic year, I was reflecting on the concept of culture because is a term that teachers regularly make reference to throughout language acquisition lessons. 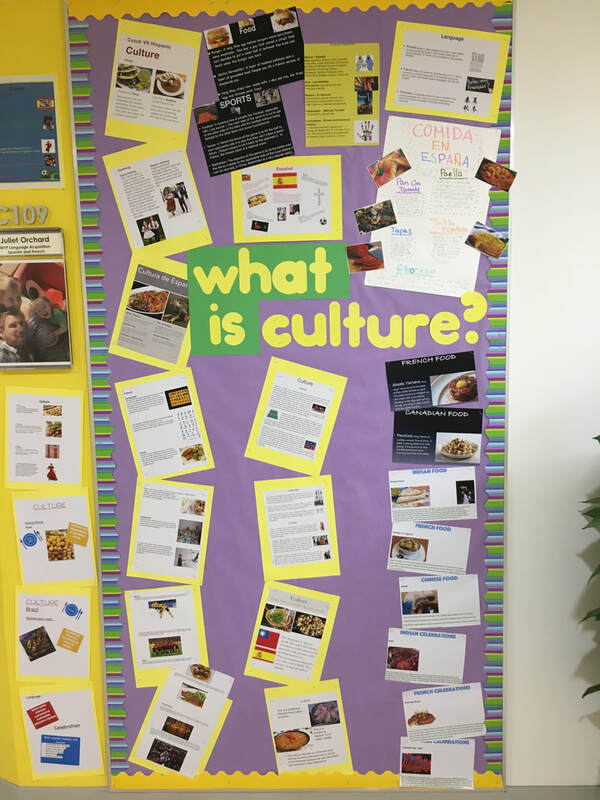 It occurred to me that although we regularly discuss culture, students may not really know and understand what culture means or represents. 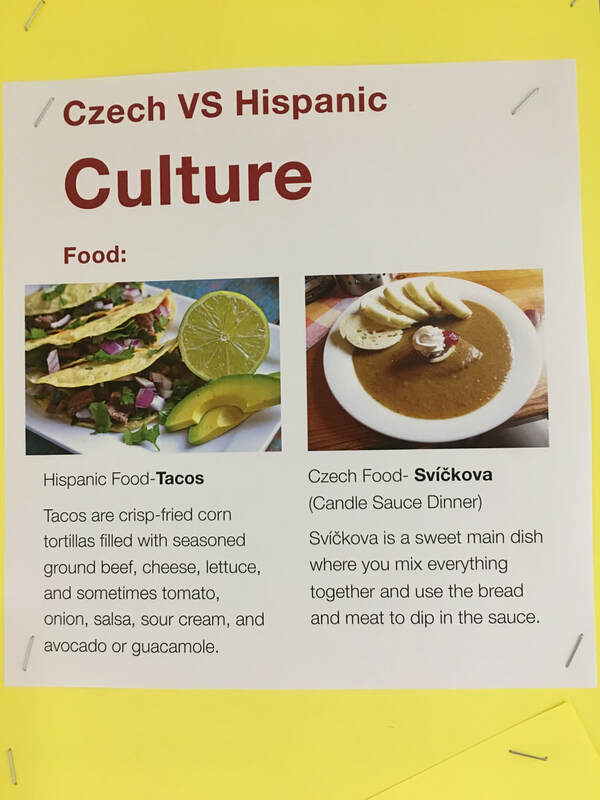 I found a video from the National Geographic about cultural differences in which a group of men travel to Sudan and discover a whole new way of life in the USA. As the students watched the video, they were asked to consider the main theme and message of the video being communicated. 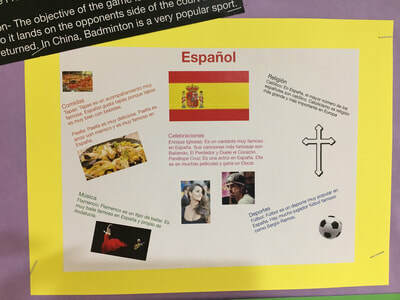 The students quickly identified the theme of the video as culture. The students then watched the video a second time through and were asked to take notes ion whiteboards about the examples of culture that were mentioned in the video. 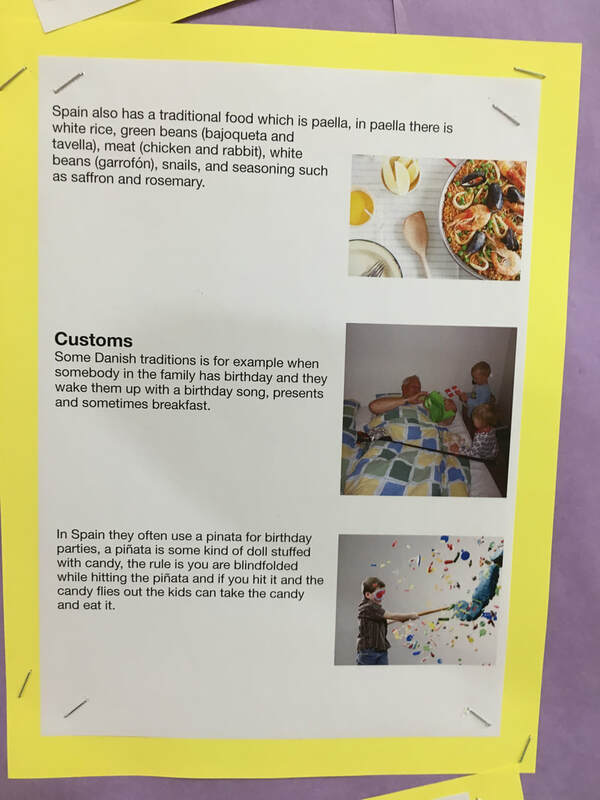 We agreed that there were many different examples including food, habits and daily routine, and attitudes. Further to this, we then discussed how this links to our statement of inquiry - Understanding Culture & Language enables us to express identity & build relationships. 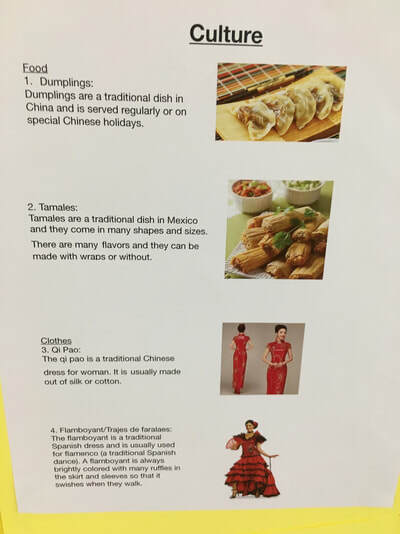 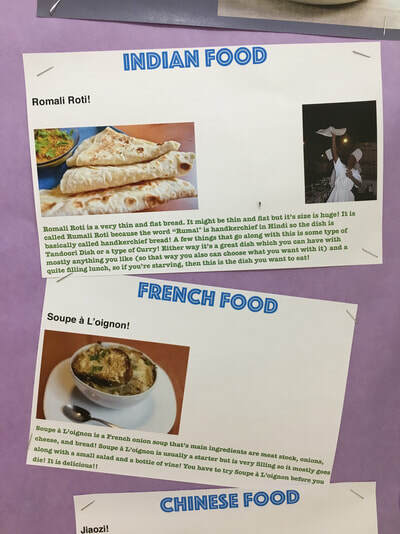 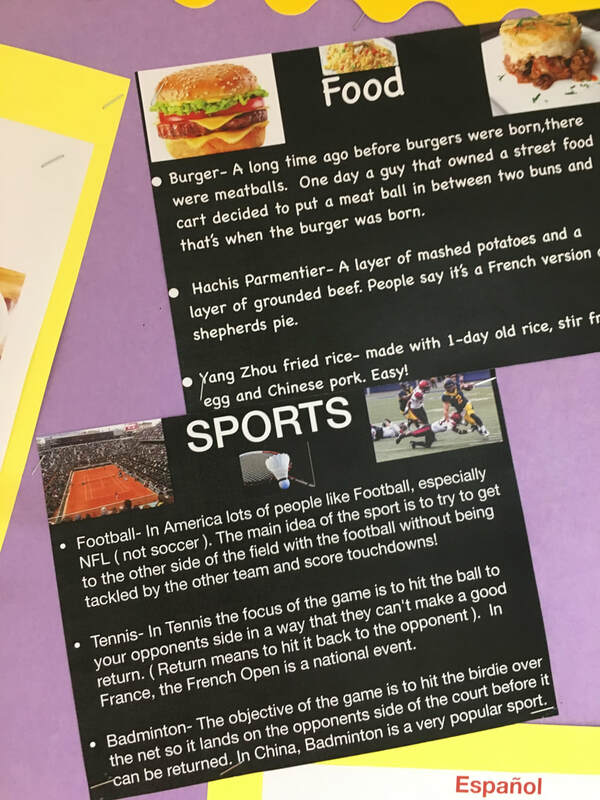 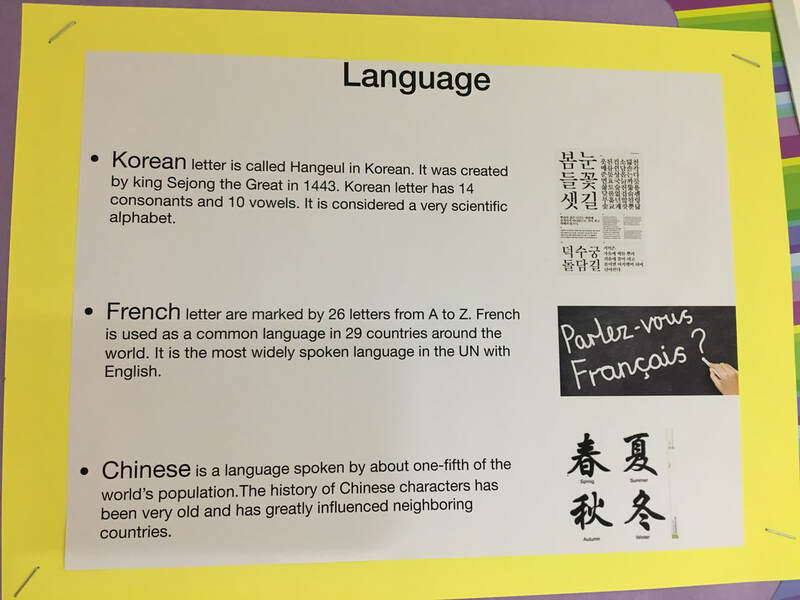 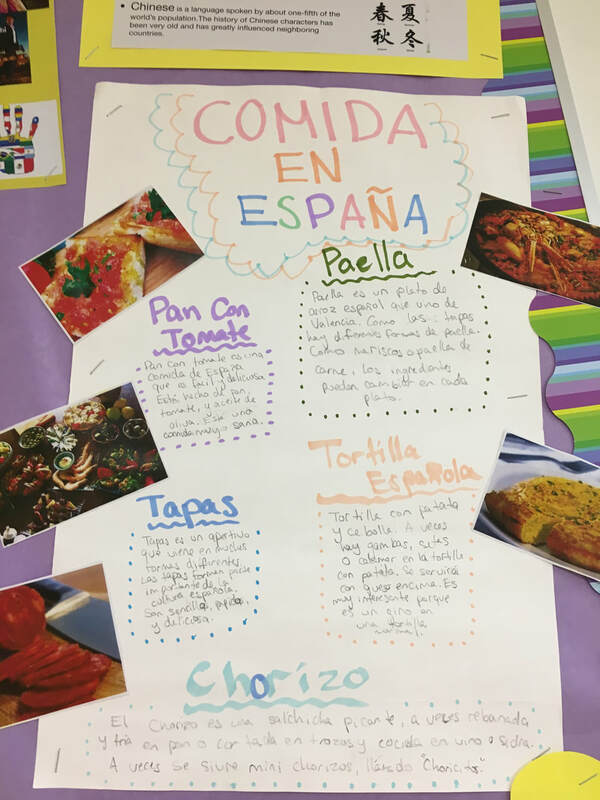 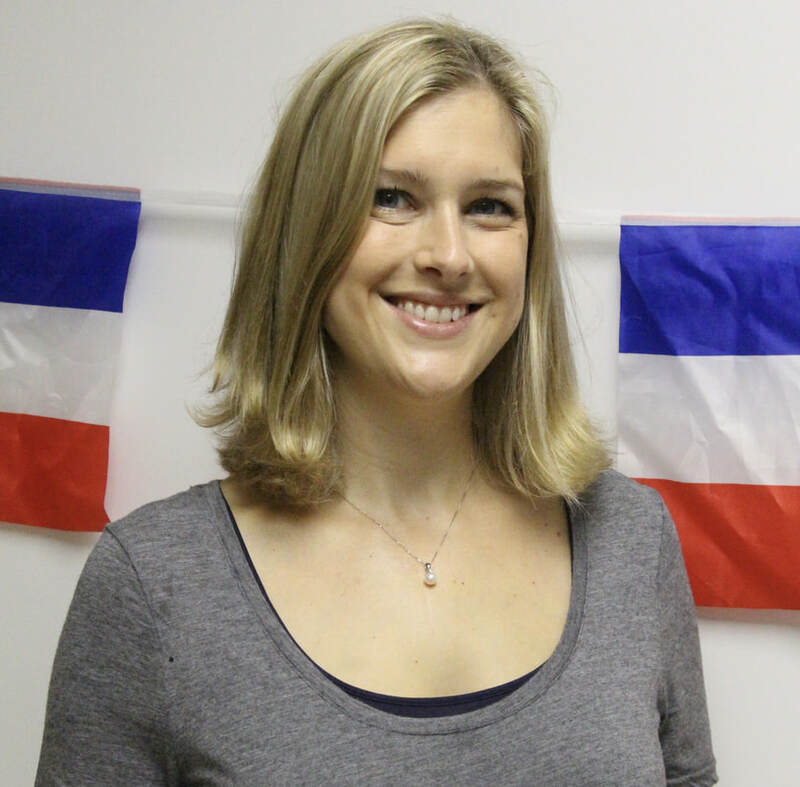 Their first task of the year was to produce a poster in which they would reflect on the similarities and differences between their own culture, and those of France and China. See the task and posters below.